Jim Jarmusch’s new film “Paterson” – about a poet named Paterson who drives a bus for a living in Paterson, New Jersey – is concerned not simply with poetry and the craft of prosody, but with the very nature of language itself. Not only do other poets inhabit “Paterson” – a rap artist who composes in a laundromat, a 10-year-old girl, a Japanese poet on a pilgrimage to Paterson, home of William Carlos Williams – but the film is teeming with myriad varieties of linguistic rhythm and style: in street talk; in conversations on the bus (guy talk, kid talk, would-be anarchist talk, old lady talk); in conversations in the neighborhood watering hole (bar stories, lovers’ quarrels, wifely scolds) – each is a kind of quotidian poetry in itself. Jarmusch, too, uses every tool in his writer/director arsenal to draw us in to a language we can understand. On the popular low end, Jarmusch delights in sight gags, hyperbole and understatement, taboo, slapstick, mistaken identity. On the literary high end, he pulls out all the stops: aphorisms, doppelgängers, archetypes, negative capability, paradox. His favorite tropes are synecdoche in which a part of something refers to its whole or vice versa and metonymy in which a thing or concept is not called by its own name but by a name of something associated in meaning with that thing or concept. He always employs episodic sequences, which give his stories the structure of classic quest narratives and confers upon even the most commonplace characters, if not mythic status, at the very least the standing of an Everyman – the ordinary individual who faces extraordinary circumstances. “Paterson” takes place over the course of a week, each sequence structured by the arc of a day and the rhythms of the hours. We meet Paterson on Monday. He wakes each morning midway between 6:00 and 6:30, reaches for his wrist watch, checks the time, puts it on and kisses his lover (Golshifteh Farahani) before getting out of bed. Her name is Laura, like Petrarch’s muse, and the sweethearts share a secret microcosm of their own special making. Paterson eats Cheerios from a small glass bowl and thinks of words, leaves the house with his lunch pail, walks through the neighborhood – putting words together in his mind – headed to the old factory district where the bus garage sits, steals a few moments to write in his notebook, checks out with the bus manager Donny (Rizwan Manji), then starts his engine and drives out into the macrocosm that is Paterson. Each day Paterson returns to the little world he makes with Laura and his little basement desk arrayed with a library of poets – mostly the New York School, but “Infinite Jest” is there, too. Laura is something of a naif and most comfortable in black and white, figuratively and literally. She is an extrovert who rarely goes out. He is an introvert who is very much of the world. She dreams, he is: a fundamental, existential difference. The couple seem to adore one another, and he writes achingly beautiful poetry about her, but art is one thing and the daily sharing of a life with another flawed individual is something else altogether. (One of those love poems ends: “How embarrassing.”) Laura is mercurial, dreaming of creating cupcakes one day, imagining herself a famous country western star the next. Driver’s range of expression allows us to see Paterson’s genuine love for Laura, but it also betrays his frustration, sometimes even hurt, when her self-involvement makes her insensitive. Place typically functions as a character in a Jarmusch film, and the world of Paterson is a very Jarmusch-esque place. Originally inhabited by the Acquackanonk tribe of the Lenape Nation, the area was first claimed by the Dutch to become the New Netherlands, then by the British to become the Province of New Jersey. Located on the power source of the 77-foot-high Great Falls of the Passaic River, Paterson became the first planned industrial city in the United States in 1791, making it a destination for immigrant laborers, particularly Italian weavers drawn to the textile industry, especially silk production. Indeed, by the early 19th century, Paterson was known as “Silk City.” By the 20th century, the harsh conditions in the factories fomented a labor revolt, and in 1913, labor leaders organized a six-month-long silk industry strike, ostensibly for an eight-hour day and minimum age restrictions. Concerns regarding working conditions, however, were secondary to the overarching fears that echo the anxiety of today’s blue collar worker. In 1911, in nearby Clifton, New Jersey, mill owners had installed a multiple-loom system that required fewer workers. The Paterson strike, predominantly fueled by fear of job loss, failed because adaptation to the new technology was necessary to make Paterson’s mills competitive. Resistance to the multiple-loom system would have put the Paterson mills out of business altogether. More than any other American director, Jim Jarmusch understands America as a melting pot reflected in his casts and characters. Today, Paterson is home to some of the largest immigrant communities in the United States: Bangladeshi, Turkish, Arab, Palestinian, Albanian, Dominican, Puerto Rican, Peruvian. It is home to the second-largest population by percentage of Muslims in the United States, estimated at 25,000-30,000. 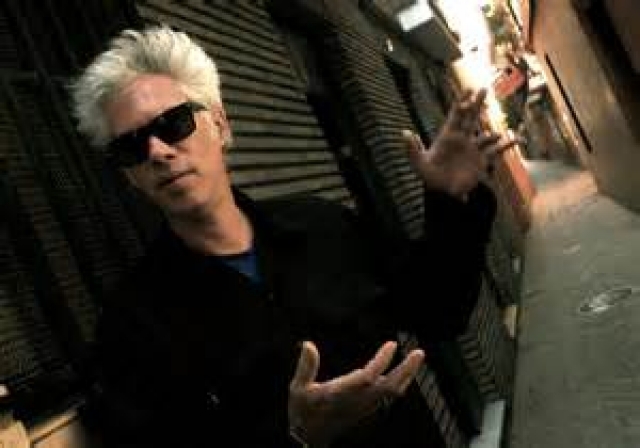 As a haven for aliens and outsiders, the very setting of the film speaks volumes to the Jarmusch project, which inevitably incorporates characters – played by actors – who are themselves outsiders: here Laura as an immigrant and Paterson as a poet, certainly an outsider avocation in 21st century America. Indeed, the film is punctuated with the question, “Are you a poet?” to which Paterson always answers not simply, “No,” but, “No, I’m just a bus driver.” Yet Jarmusch is telling us, as he has in more than a dozen films before, it is true and honorable and good to be a poet. The poems in “Paterson” were written by Ron Padgett (with the exception of the 10-year-old girl’s poem “Water Falls,” which Jarmusch wrote). Padgett is among a group of poets considered the second generation of New York School poets, the original school of which grew out of the influence of William Carlos Williams’s direct conversational style and urbane wit. The New York School of poetry paralleled the New York School of abstract expressionist painting and the poets were friends of the painters, among them Willem de Kooning, Jackson Pollock, Larry Rivers, Jasper Johns. Surrealism and the modernist interest in stream of consciousness (Williams began work on “Paterson” after reading James Joyce’s “Ulysses”) shaped their technique, as well. Along with Williams, Barbara Guest, James Schuyler, Frank O’Hara, John Ashbery and the poet under whom the second generation studied, Kenneth Koch, made up the New York School. In addition to Padgett, the second generation includes Ted Barrigan, Joseph Ceravolo, Frank Lima, Joe Brainard, Lewis Warsh, Anne Waldman, Bernadette Mayer, Alice Notley, and Tom Savage. Perhaps Jarmusch’s film will lead some of us back to rediscover the power of these poets’ works. Poetry flows through Paterson – the film, the character, the town – like the Great Falls to which our poet repairs. The craft – the over and over of it day in, day out – is first and foremost the craft of reflection, and Frederick Elmes’s expressive cinematography caresses the reflection in which Paterson the poet is absorbed. The glass of the bus windshield reflects the streets of Paterson; the water of the Great Falls reflects the natural world around it; even the puddles in the girl’s poem “Water Falls” reflect. Jarmusch has a fascination with the flâneur, and Paterson’s poetry grows out of his being in the world of society that he watches and eavesdrops on in a state of heightened awareness. He traverses the manmade world of urban architecture (the art we live in, walk in, travel through) as well as the world of nature each day, every day. SQÜRL’s music (Carter Logan and Jim Jarmusch) gives Paterson’s perambulations and his daily exit from the depot an almost holy quality. For the poet, that holiness is forged through the crucible of language. Jarmusch understands that we each manipulate language to make narrative sense of life as lived. We do not merely state what happened. We tell a story, which is to say, we do nothing less than create myth – a story that is bigger than life in its episodic configuration. When the bus breaks down, a boy asks “Did it run out of gas?” “No. Just an electrical problem.” “Sabotage probably,” the boy ominously suggests. With each retelling of this story, one after another of Paterson’s listeners speculates, it could have “turned into a fireball.” No mere bus breakdown this. No, it could have been a conflagration. “Story, finally,” the celebrated children’s author Lloyd Alexander observed, “is humanity’s autobiography.” Paradoxically, when tragedy does befall our poet, he meets it with silence, until a Mysterious Stranger (Masatoshi Nagase) directs him back toward reflection and emotion recollected in tranquility. Water Falls muddy pools in the asphalt Emily Dickinson is one of my favorite poets – that’s my sister, we’re twins. Awesome. A bus driver who like Emily Dickenson. Lady – Is it going to catch on fire and explode into a fireball. Language of story and myth – bigger than life. Laura It could have turned into a fireball. Doc It could have turned into a f fireball. I’m a bus driver myself. Just a bus driver.